Please join us Sunday, February 26th at 10:00 AM Pacific, for a conversation entitled Awakening Joy: Developing Your Natural Capacity for Well-Being and Happiness with James Baraz. The Buddha was called “the Happy One” and told his followers to aim for the highest happiness. Often, however, there is so much emphasis on coming to terms with suffering that his message about the importance of joy and well-being as a central aspect of spiritual practice is lost. • Inclining the mind consistently over time to shifting the default setting toward greater well-being, happiness, and joy. The implications are not just subjective; happiness is key to objective results too. Joy enhances not just our own mood but also our practical productivity, including our ability to compassionately alleviate others’ suffering. 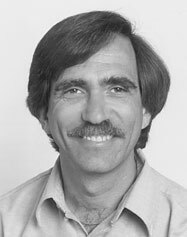 James Baraz is a founding teacher of Spirit Rock Meditation Center, teaching meditation retreats, classes and workshops in the US and abroad since 1980. He serves on the International Advisory Board of the Buddhist Peace Fellowship. His online Awakening Joy course (www.awakeningjoy.info) has now graduated over 10,000 participants and has been featured in O, The Oprah Magazine, Yoga Journal, Tricycle and the Huffington Post. He is co-author of Awakening Joy: 10 Steps That Will Put You on the Road to Real Happiness with Shoshana Alexander. James lives with his wife in the Bay Area, has two sons and three grandchildren. I appreciate James sharing that action absorbs anxiety and that it is best to balance compassion with equanimity. We serve because we care and sometimes we must accept that no matter what we do, what will happen will happen. Thank you. Many, many thanks for these deep and wonderful talks. I have been enjoying them since the beginning and look forward to them. I haven’t been able to access the James Baraz talk on this website and wonder if I’m doing something wrong or if it just hasn’t been posted yet. Thanks again for all if this, it is making a difference. I HAVE DOWNLOADED AND LISTENED TO SOME OF YOUR RECORDINGS OVER AND OVER. I AM A DISABLED PERSON WHO REALLY NEEDS THE STIMULATION AND THE JOY BEING A PART OF SOMETHING LARGER. I AM ALONE A LOT AND YOUR SERIES HAS BEEN A HUGH BLESSING TO ME. I THOUGHT YOUR DISCUSSION WITH ANDREW HARVEY YOU HUNG IN WITH HIM AND DID NOT LET HIM GET AWAY WITH ONLY VIEW..YOU WERE AND ARE OUTSTANDING. To let the Beyond Awakening community know, I host live calls for continuing discussion of this series on most Sundays. Generally, on weeks when there is a broadcast, we gather about 10 minutes or so after Terry finishes with his guest. On in-between weeks, we maintain the same schedule and draw from the recordings archive.